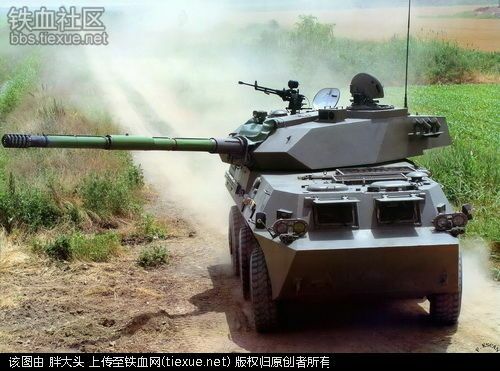 The Chinese PTL02 6×6 Wheeled Tank Destroyer is another hybrid vehicle utilizing existing PLA weaponry. It uses the WZ551 6×6 hull and running gear (chassis and transmission) with a turret mounting the 100mm smoothbore gun of the Type 86 towed anti-tank gun, with the Fire Control System of the Type 88 MBT. The 100mm smoothbore gun fires the armour-piercing fin-stabilised discarding sabot (APFSDS) round with tungsten core originally developed for the Type 86 towed anti-tank gun as well as HEAT and HE rounds, with 30 rounds carried onboard the vehicle. however this system lacks the punch required to defeat modern composite/laminate armour used on modern MBT’s. The drivers compartment is front, powerpack in middle, and turret/combat compartment at rear. The tank destroyer has a crew of five. 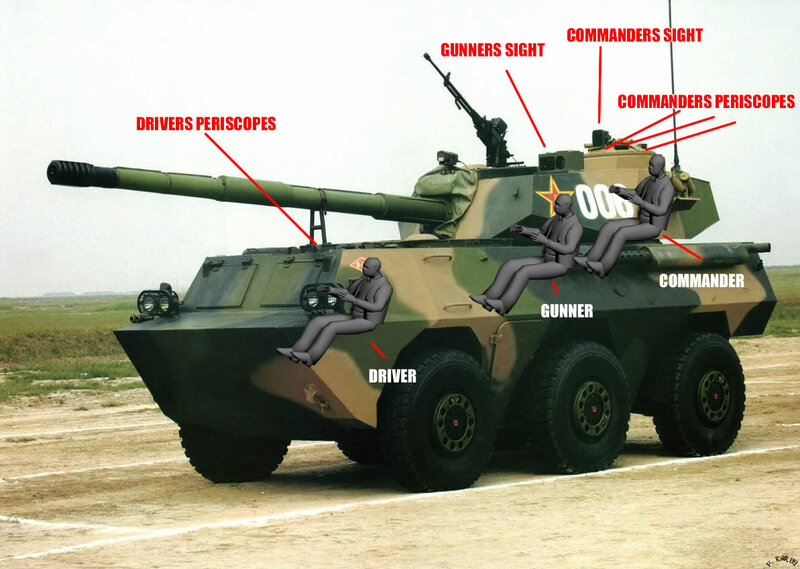 The vehicle’s armour is capable of protecting its crew against 12.7mm calibre weapon. Collective NBC protection and automatic fire suppressing are provided as standard. The vehicle is powered by a 320hp German-designed BF8L413F 4-stroke, 8-cylinder, turbo-charged, air-cooled diesel engine. This vehicle has a different turret configuration, with a distinct Wedge front, rather than the Chinese flat slopping front. It is in service with Cameroon, Chad, Djibouti and Myanmar.